Follow RT for news and stories on rallies and protests held in the US, including the Unite the Right rally, or Charlottesville rally. 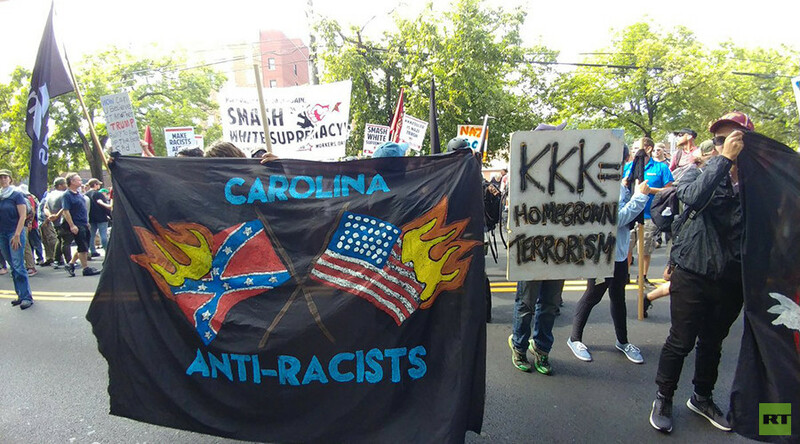 In August 2017, white supremacist riots took place in Charlottesville, Virginia. 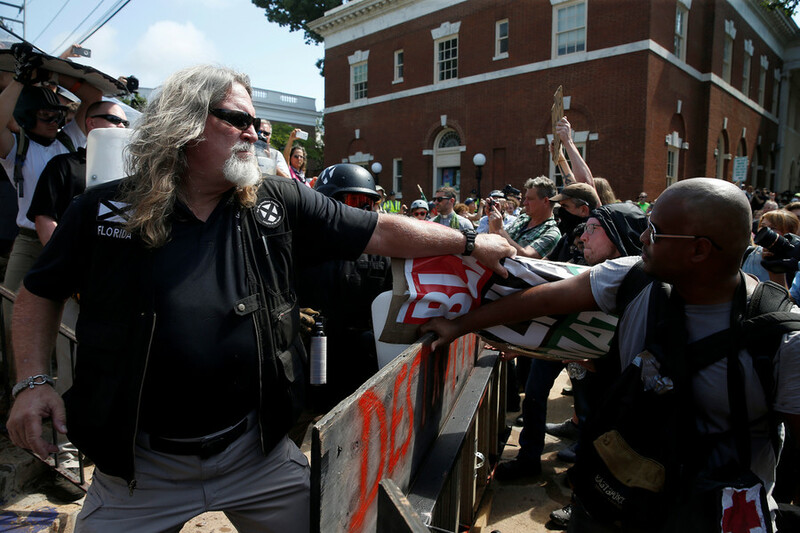 A far-right rally against the removal of a statue of Confederate icon General Robert E. Lee in Charlottesville turned into violent clashes between Trump supporters and counter-protesters. A car also plowed into a crowd of peaceful protesters during the 2017 Unite the Right rally, resulting in one death and multiple injuries. The car crash was later determined to be a “domestic terrorist attack,” and graphic images of the incident went viral on social media and in the news around the world. Visit RT to learn how the Unite the Right rally in Charlottesville unfolded. Learn more about the actions of the police and official statements, including US President Donald Trump’s statement. 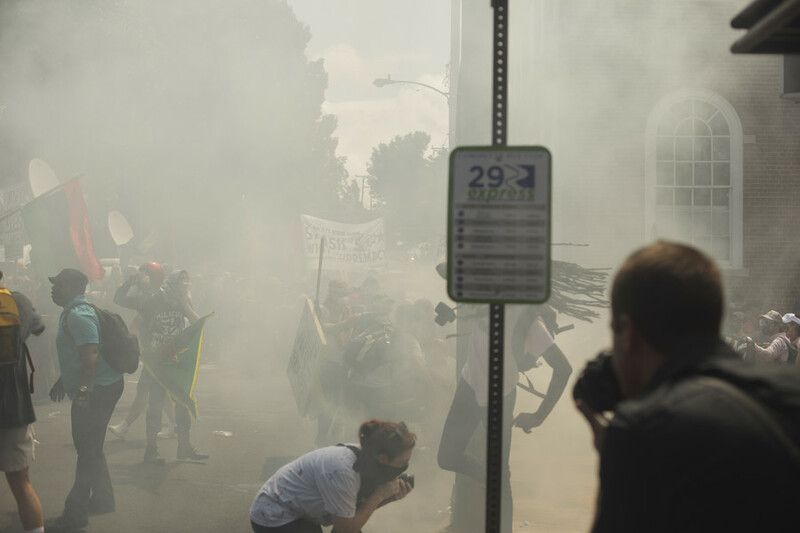 In 2018, before the anniversary of the Unite the Right rally, a curfew was announced in Charlottesville, as officials wanted to avoid further violence. Read RT to get news and updates on the ‘Unite the Right 2’ rally in 2018, marking the anniversary of the first protest. 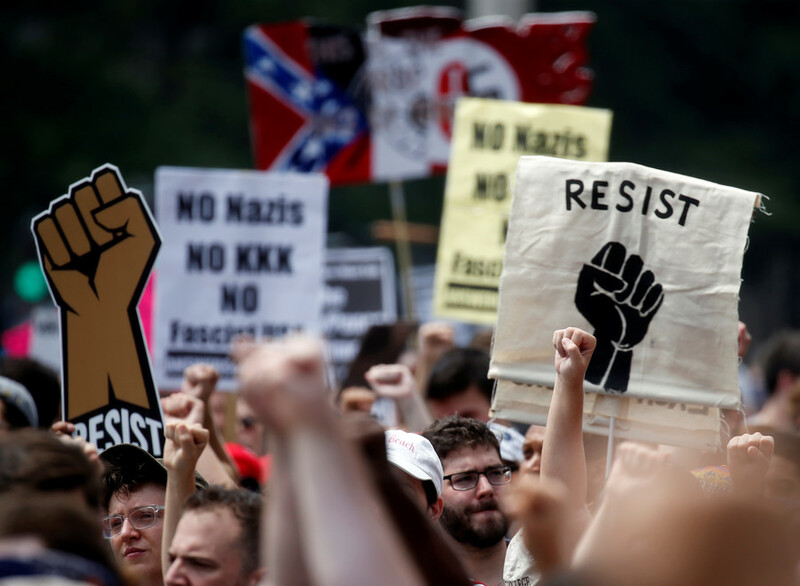 Crowds of anti-nationalist protesters have gathered to protest the Unite the Right rally one year after the Charlottesville clashes. The police presence has been increased to avoid clashes in the center of the US capital. 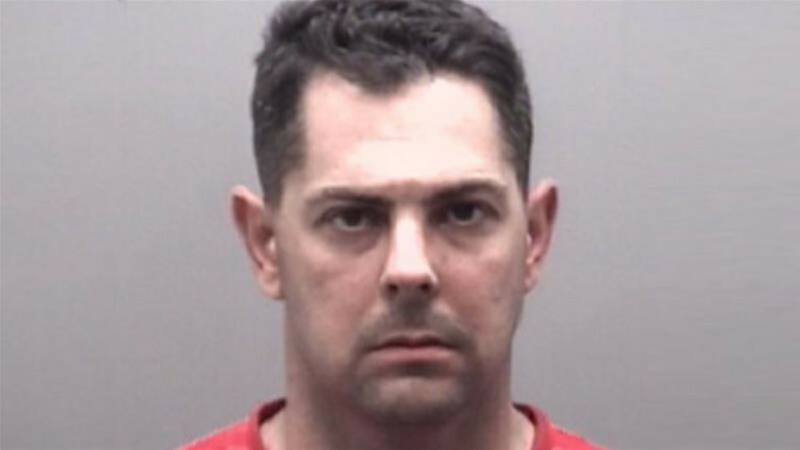 A prominent neo-Nazi who helped plan and organize last year’s fatal ‘Unite the Right’ rally in Charlottesville, Virginia, has been exposed as a United States marine, who went by the online alias ‘Tyrone’. 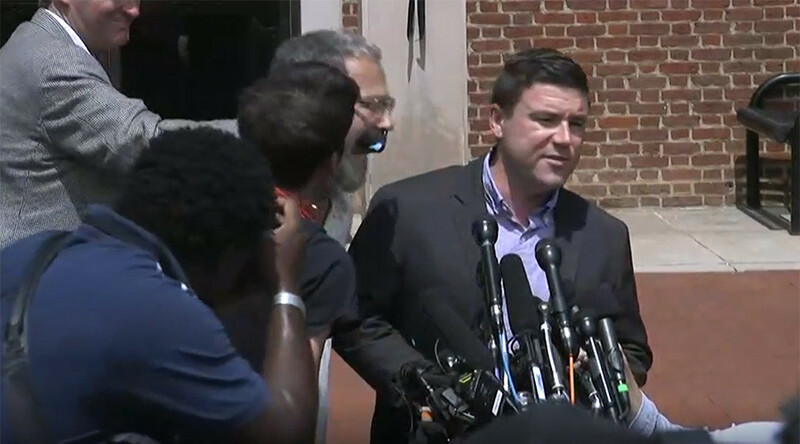 Jason Kessler, organiser of Saturday’s ‘Unite the Right’ rally, at which a car driven by an alleged white supremacist plowed into a group of counter-demonstrators killing a 32-year-old woman, has been punched in Charlottesville. Fighting has broken out at a ‘Unite the Right’ rally in Charlottesville, Virginia between right-wing protesters demonstrating against the removal of a Confederate-era statue from Emancipation Park, and counter demonstrators.